We know little about how community structures influence the risk of common mental illnesses. This study presents a new way to establish links between depression and social fragmentation, thereby identifying pathways to better target mental health services and prevention programs to the right people in the right place. A principal components analysis (PCA) was conducted to develop the proposed Australian neighborhood social fragmentation index (ANSFI). General practice clinical data were used to identify cases of diagnosed depression. The association between ANSFI and depression was explored using multilevel logistic regression. Spatial hot spots (clusters) of depression prevalence and social fragmentation at the statistical area level 1 (SA1) were examined. Two components of social fragmentation emerged, reflecting fragmentation related to family structure and mobility. Individuals treated for depression in primary care were more likely to live in neighborhoods with lower socioeconomic status and with higher social fragmentation related to family structure. 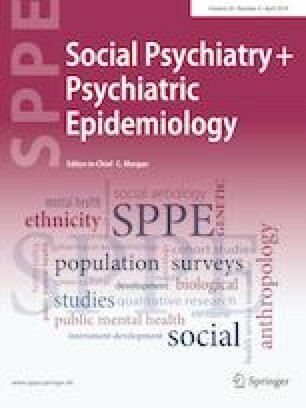 A 1-SD increase in social fragmentation was associated with a 16% higher depression prevalence (95% CI 11%, 20%). However, the association attenuated with adjustment for neighborhood socio-economic status. Considerable spatial variation in social fragmentation and depression patterns across communities was observed. Developing a social fragmentation index for the first time in Australia at a small area level generates a new line of knowledge on the impact of community structures on health risks. Findings may extend our understanding of the mechanisms that drive geographical variation in the incidence of common mental disorders and mental health care. We would like to thank Australian Research Council‘s support of data collection via Dr Bagheri’s DECRA (DE140101570). PJB and ALC are supported by NHMRC fellowships 1083311 and 1122544. We also thank all 16 general practices from the west Adelaide area that provided clinical data.